Waterstones Liverpool are delighted to welcome Robert Forster as he visits the UK to celebrate the publication of his long-awaited book "Inside and Outside The Go-Betweens - Grant and I" . 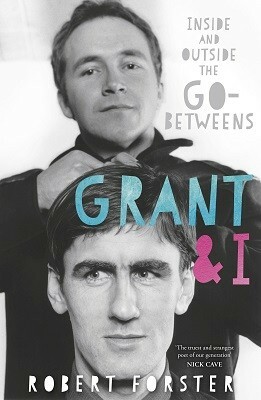 The book lifts the lid for the first time of their life in The Go-Betweens, and looks at Robert and Grant McLennan's relationship and music collaborations over three decades. Described as "part making of, part music industry expose, part buddy-book this is a delicate and perceptive celebration of creative endeavour and friendship". Robert will be in conversation with Liverpool music writer Paul Fitzgerald.